Congratulations on graduating from an L plate license to a P plate license. You are now one step closer to a life of independence. But before you can even think about driving off into the sunset, you will need your own set of wheels. Now, newbie drivers will be excited, and will willingly get the biggest, flashiest, car in the dealer’s lot. However, that will remain a dream for now because your credit score and driving prowess will weigh you down. Big SUVs can load a lot more people and items. However, they tend to be a bit harder to drive, park and handle. For a newbie driver, it can become quite overwhelming. That is why if you don’t need a large vehicle, consider getting an economical car to ensure that you can drive it safely. One thing you should know about learning the ropes is that you will make mistakes. It could be as simple as running over your mailbox while backing out of the driveway, or overestimating your car and accidentally bumping on to a wall, or a vehicle as you try to park the car. Either way, it is essential to know what kind of safety features you need to have in your car that can keep you safe as you learn to drive better. Find a car that can comfortably fit your budget. 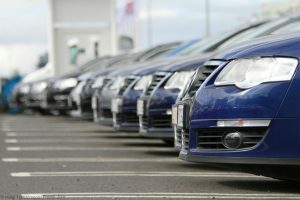 Ideally, you will want a brand new car fresh from the showroom floor complete with that intoxicating new car smell. However, it could be way over your budget and can drown you in debt. Know your limit and go for a car that is sensible, in excellent condition and can get the job done. In Australia, companies like Alpha Car Finance that can help you purchase a car that will be a perfect fit for your daily use. Modern vehicles today are complete with all the bells and whistles. However, that doesn’t mean late model cars will be any less functional. As a new driver, it is essential to focus on the road instead of the tiny buttons on your console as you try to show off to your passengers. Instead, consider a car that has large windows that can minimise blind spots, as well as a light steering wheel that can allow you to manoeuvre the vehicle with ease. While you’re starting out, focus on improving your driving skills and road awareness. Learn what your car is trying to tell you, and follow the traffic rules to the best of your ability. That way, you can become a better member of society, and you will be ready for anything down the road. My Wallet Just Got Lost: What do I do now?